Work at this school has been undertaken in two distinct phases. 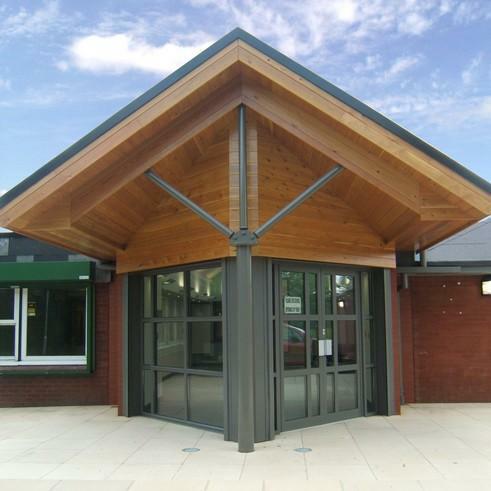 Phase 1 comprised the modification and refurbishment of the KS1 teaching class bases and Phase 2 included new perimeter security fencing, new staff car park, including new external lighting together with a new school entrance and administration office. In common with the requirements of many projects within this sector, time scales meant that while much of the work was undertaken during school holidays and a significant amount of the works were programmed and organised to work around the working life of the school.